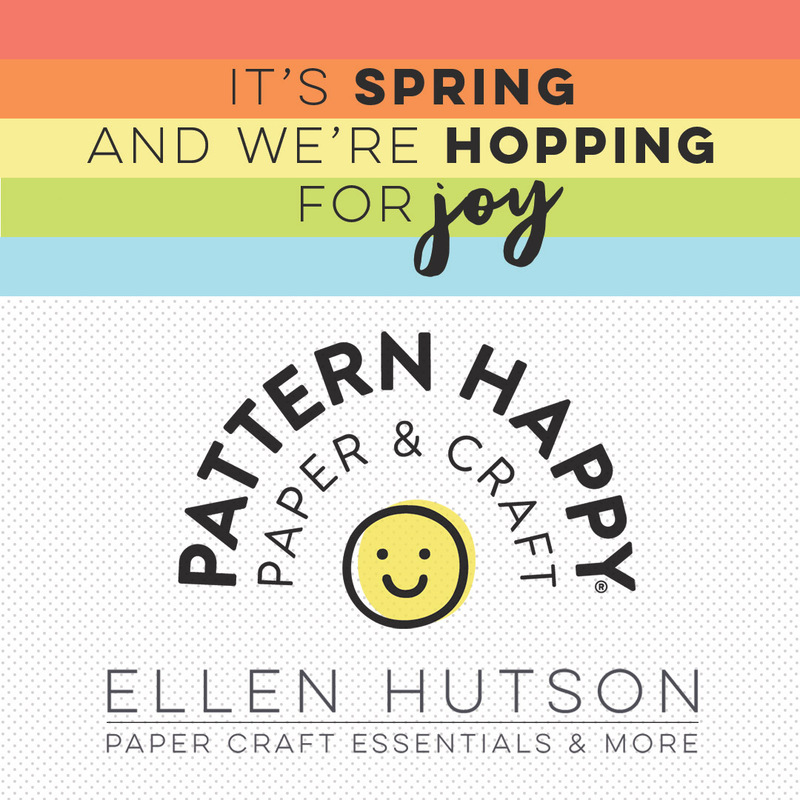 I love that you paper pieced the rainbow with patterned paper! Cute! I love the added dimension of the felt clouds Kelly~wonderful touches on your creations! Loving the rainbows! Thanks for sharing and have a wonderful Easter weekend. 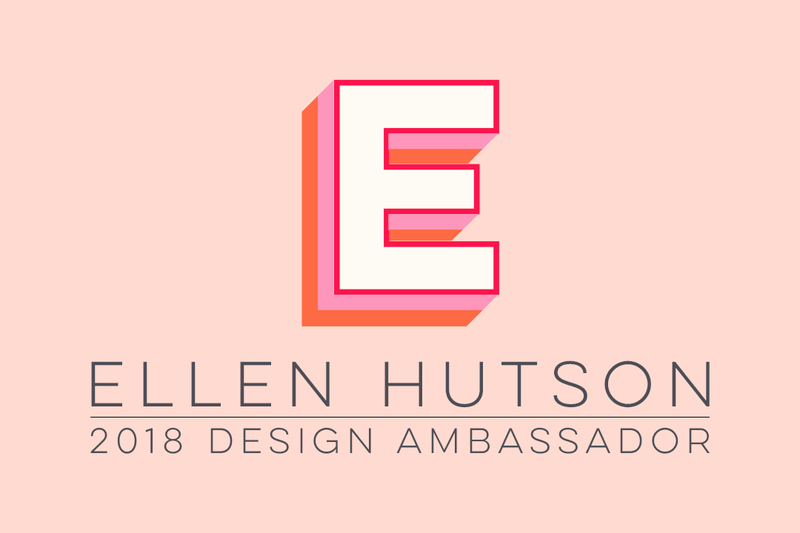 Ellen Hutson sure has great products. 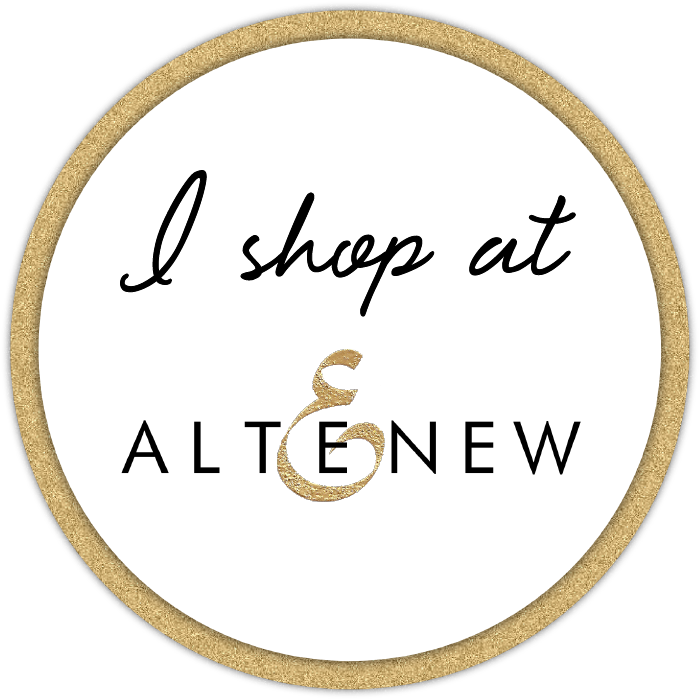 I just love everything about your projects! I love these cards and felt for the clouds is such a great idea! That rainbow is adorable and such a cute idea with the felt! Love the stamp sets used on these cards and how you've die cut images out of different colours and patterns of paper, they flow so well. So cute and colorful. 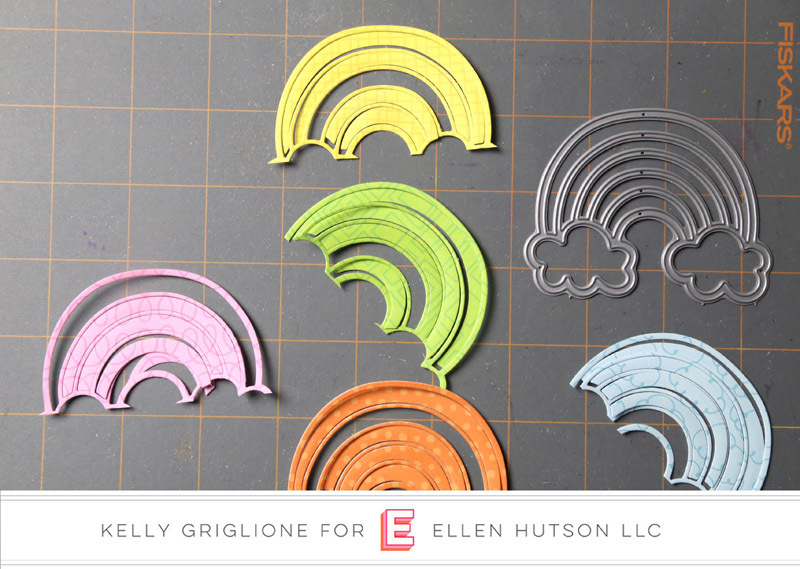 This pattern paper is amazing and so is your rainbow. Awesome details on your cards! 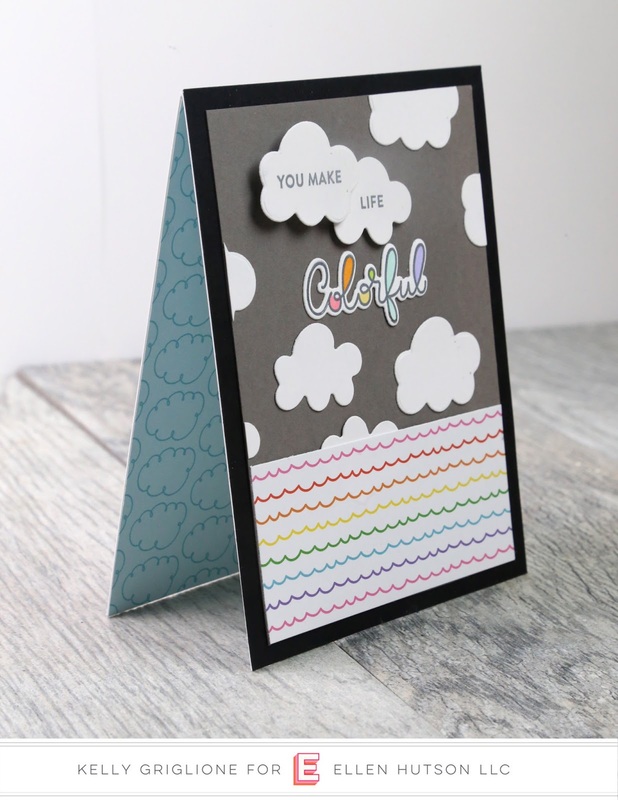 Love the inlay of colors on your rainbow, the fluffy clouds and the fun print on the inside. Omg those felt clouds, must try that! Adorable cards! Such cute cards - love the rainbow and the clouds. Love these Kelly! The little felt clouds are so cute! Love your rainbows, very very cute! Absolutely adorably fun cards! LOVE that pattern paper inside. Clever! Oh they are fun and gorgeous! Very inspiring. I'm especially loving that rainbow! 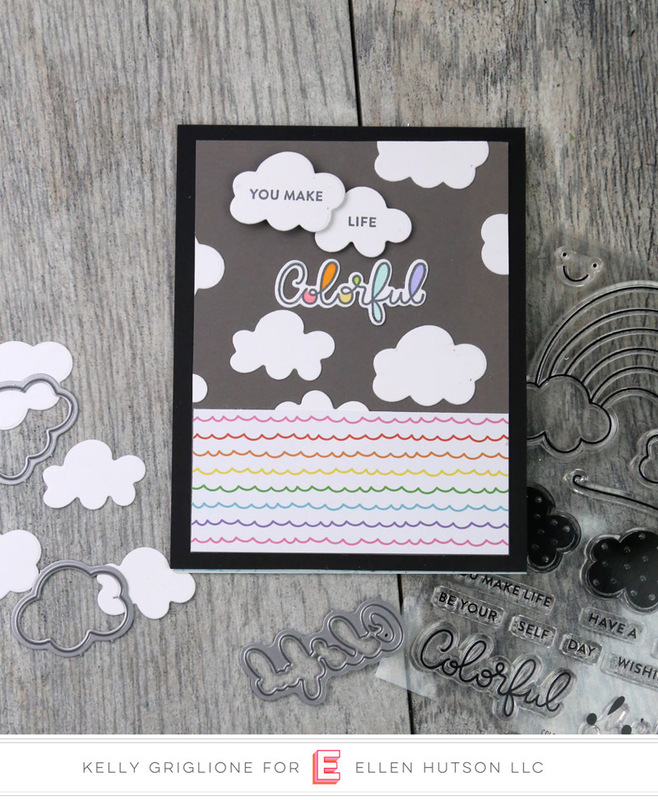 Wow love these adorable cards, especially the rainbow one with the felt clouds! So cute! I just love the rainbow! This was so clever! These are indeed colorful cards, Kelly. I love the idea of felt clouds. Sweet cards! Love that pretty rainbow! So cute and colorful. I like the papers you used. You matched the colors on the "colorful" so nicely! And what a perfect way to use the subtle patterns in the rainbow. I love how that turned out, and I especially like your puffy white clouds underneath. Thanks for sharing such lovely ideas! Love this. The colorful wording is adorable. Love the clouds. Awesome. 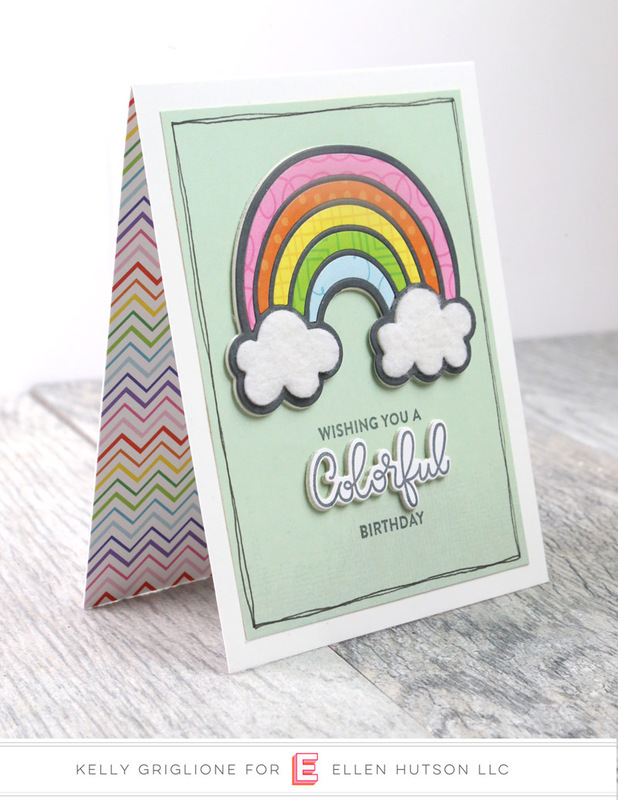 super fabulous set of cards... love that fun rainbow!! Sweet cards!! I love that rainbow!! What a great idea to use the felt in the cards! And I also love how you used the patterned paper on the inside of the card. So nicely done! Love how you cut the clouds in felt. Sweet card. Great cards and ideas you used on both. I love to always do something on the inside of my cards so loved what you did! This card catches your eye! These cards are so sweet !! 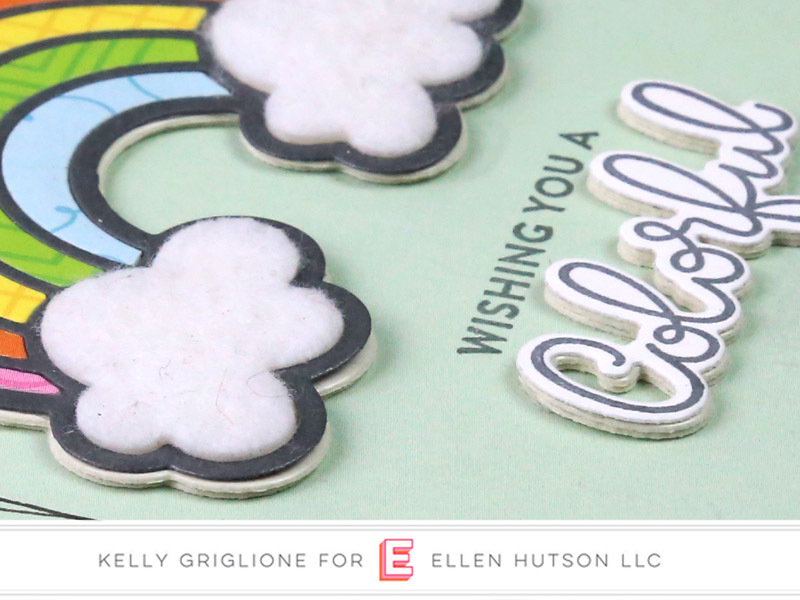 Love the pops of color against the cloud-filled gray sky on your first card, Kelly! And your paper pieced rainbow with colorful inside is so cheerful! I adore paper piecing and your rainbow is perfection! 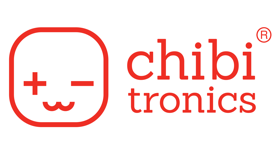 What a fun new company! Loving these happy cards. That rainbow is so sweet and I love the felt for the clouds! Sweet cards. These papers and stamps are adorable.